This chicken drumsticks recipe is a flavorful spicy juicy chicken recipe. I was looking in my fridge and there was just few veges left there. Not in a mood of going to market and bought some thing so I thought,lets do an experiment. 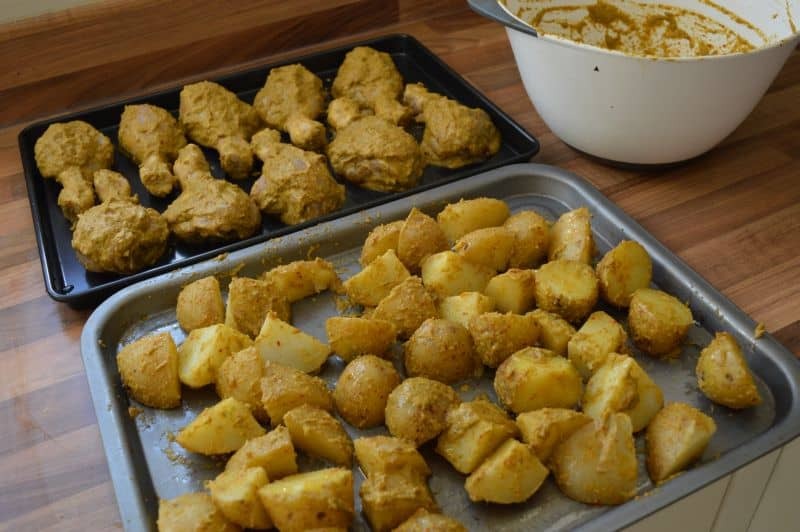 I made this spicy baked chicken with roasted potatoes using these ingredients. 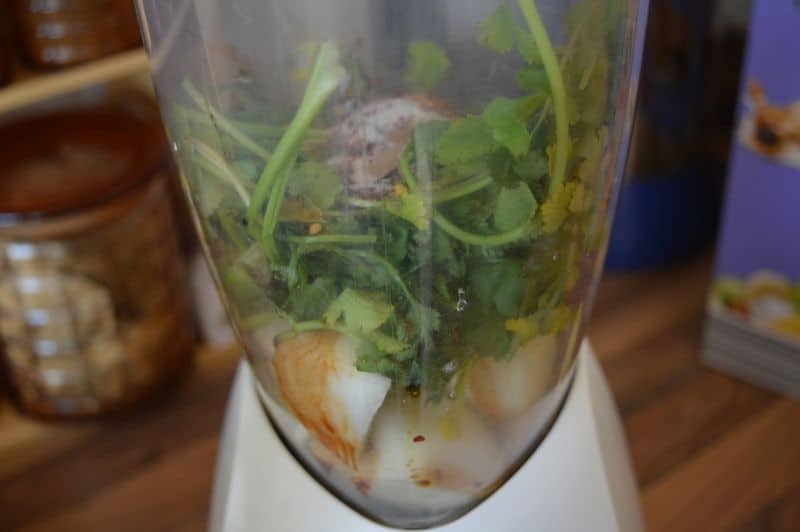 I marinated this baked chicken with paste of onion,ginger,garlic,fresh coriander,chili flakes,lemon juice,soy sauce. Then baked it on a high temperature first to seal all juices, after that lower the temperature and baked it until nicely cooked. 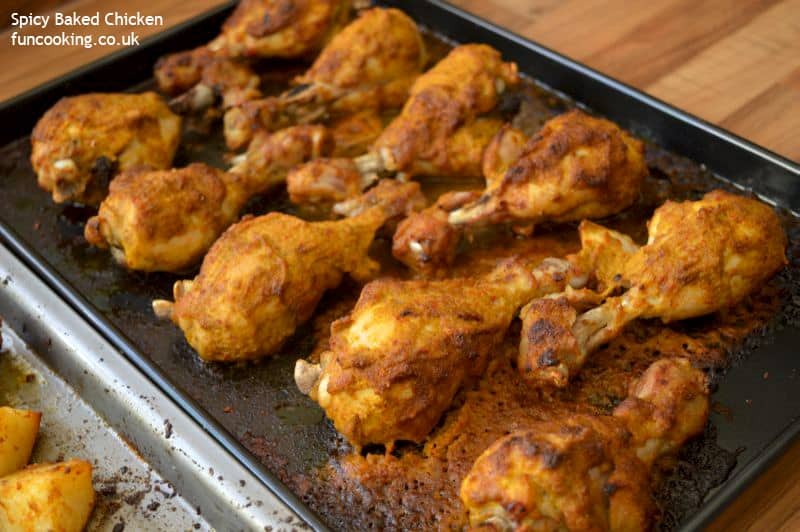 Served these spicy baked chicken legs with roasted potatoes, chili yogurt dip and fresh salad to make it a complete meal. I have to admit it, this experiment came out so good.Me, husband and even kids loved it. 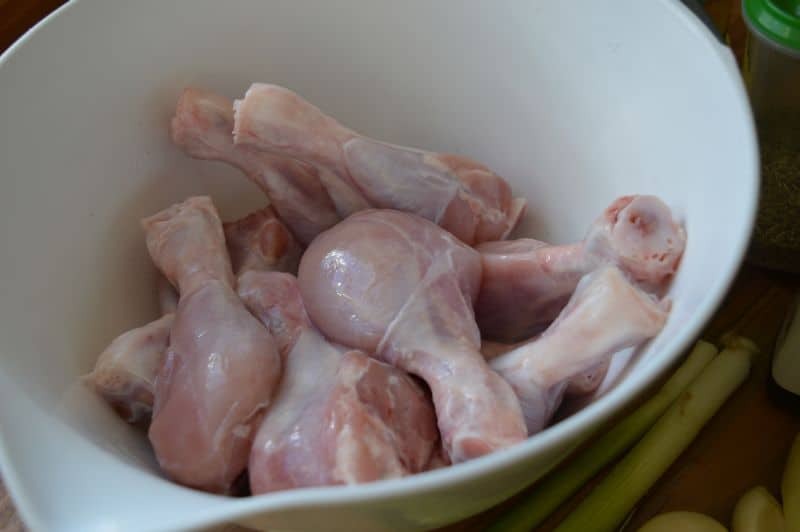 Wash clean and dry chicken legs. 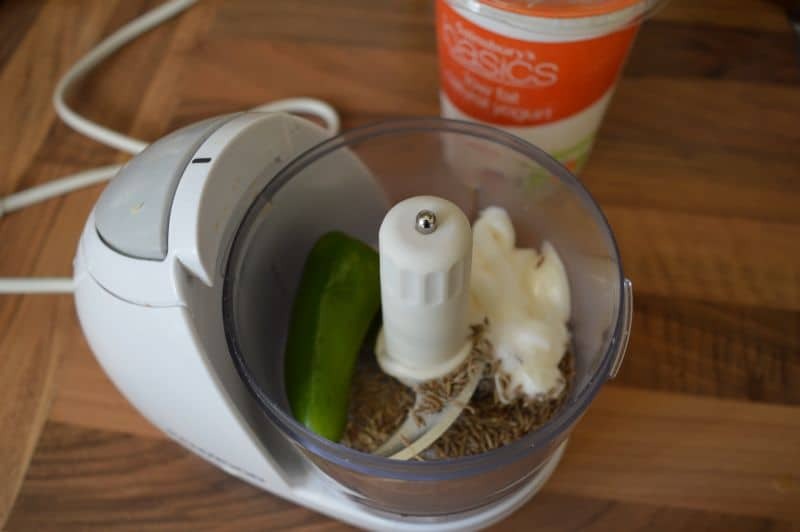 Add all list 2 ingredients in a blender. 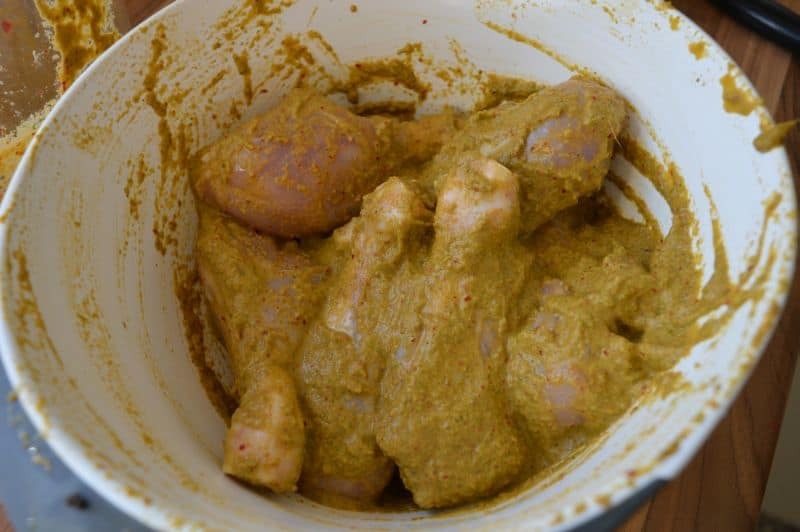 Marinate chicken with this paste for 1 hour. 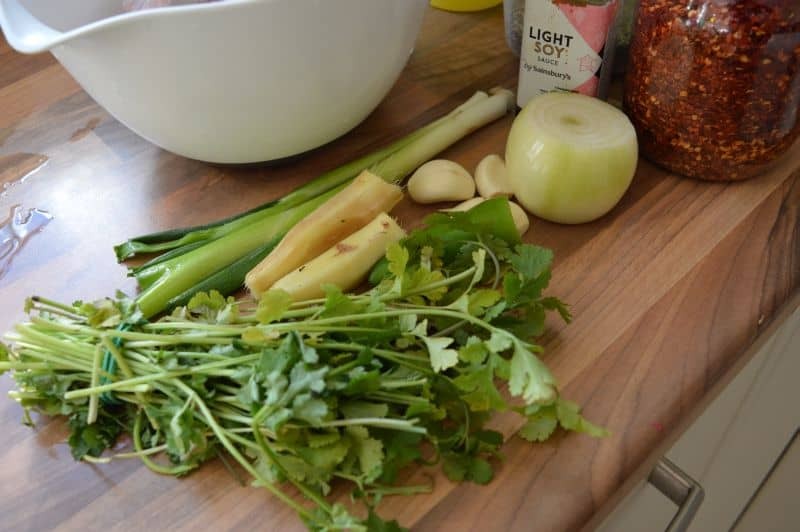 Reserve 3-4 tbsp paste for roasted potatoes. 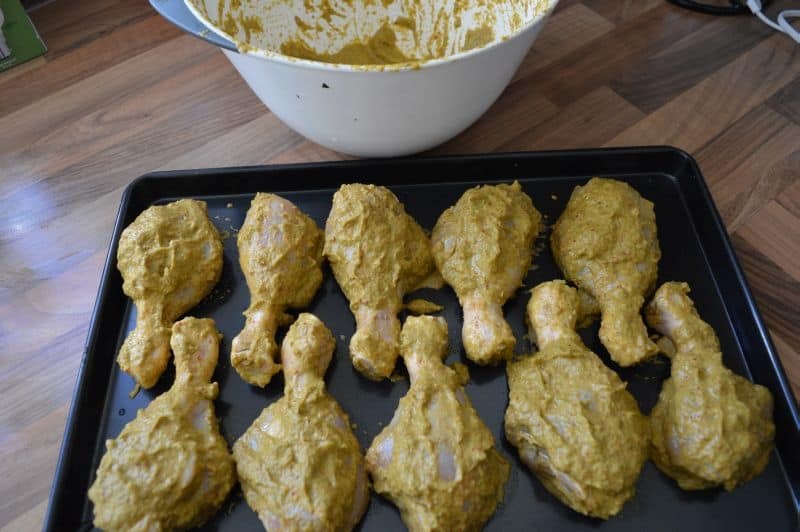 Place these legs on baking tray. 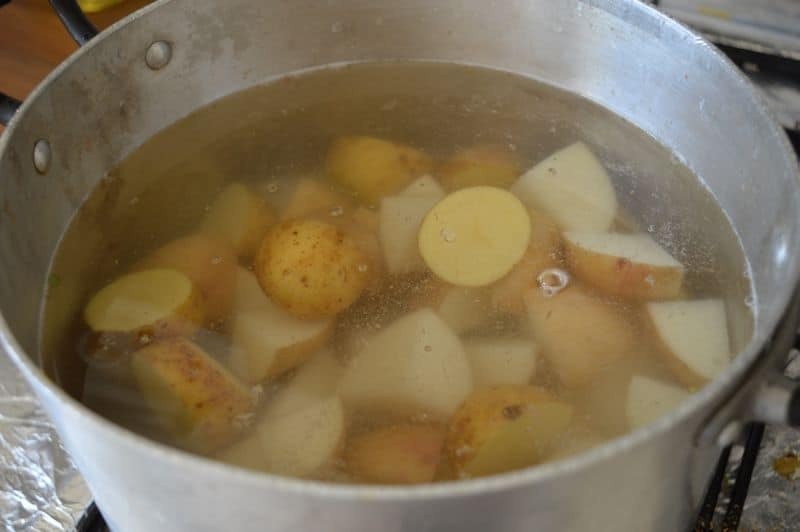 Wash and cut potatoes in small pieces. Boil them until nicely tender.Then throw water. 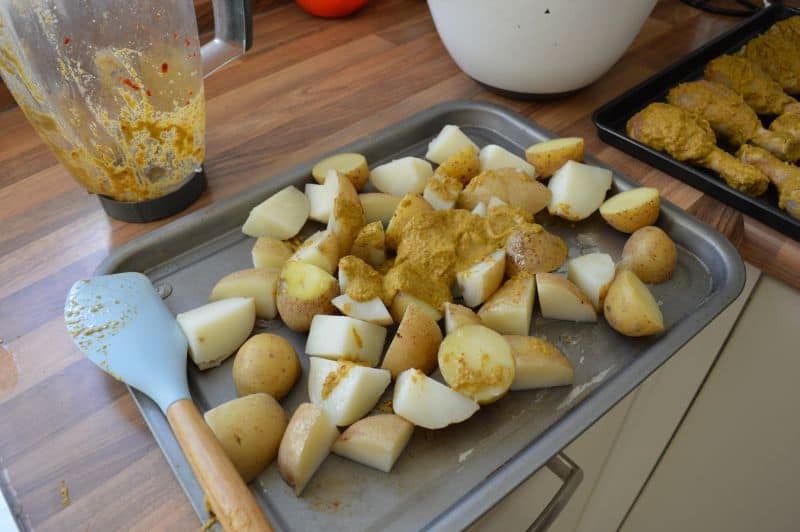 Now keep these potatoes on a baking tray , add 4 tbsp oil with remaining marination paste. Mix well. Now bake both of these tray in a preheated oven at 250 C for 10 minutes. Then turn down the heat at 175 C and bake it for 35 minutes. 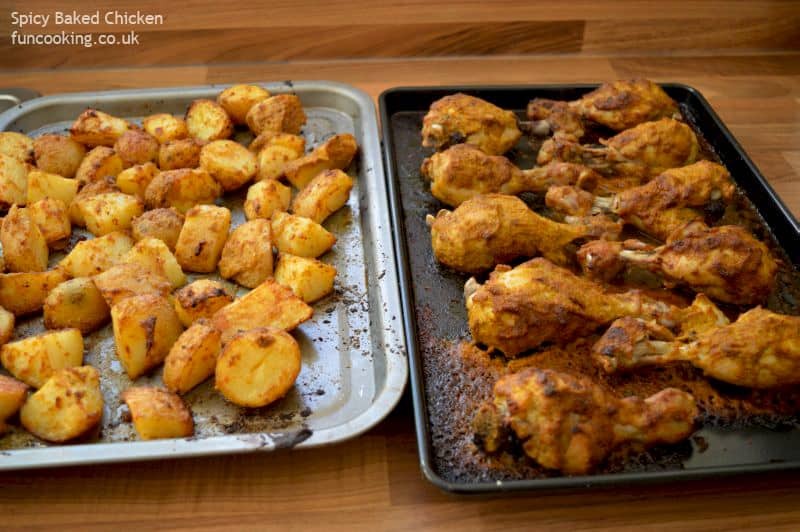 Potatoes and chicken is baked. I served this chicken with yogurt dip. 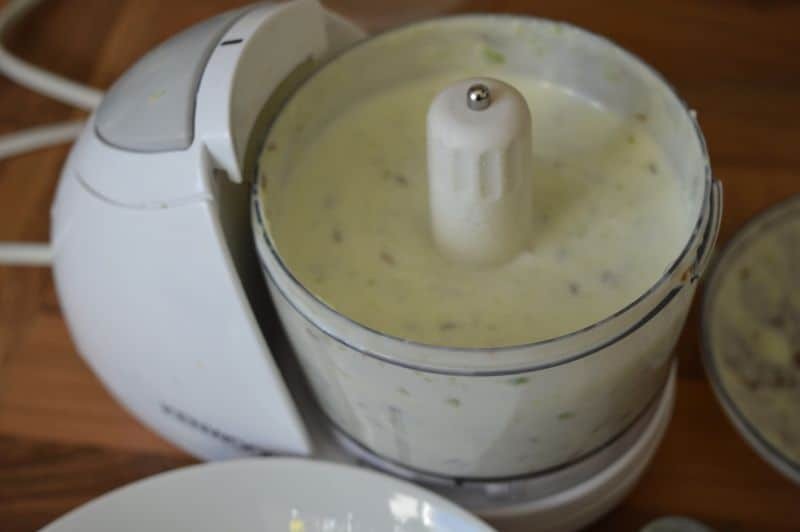 Add in 2 tbsp mayonnaise, 1 tsp cumin, 1 green chili, 250 g yogurt and 1/4 tsp salt. 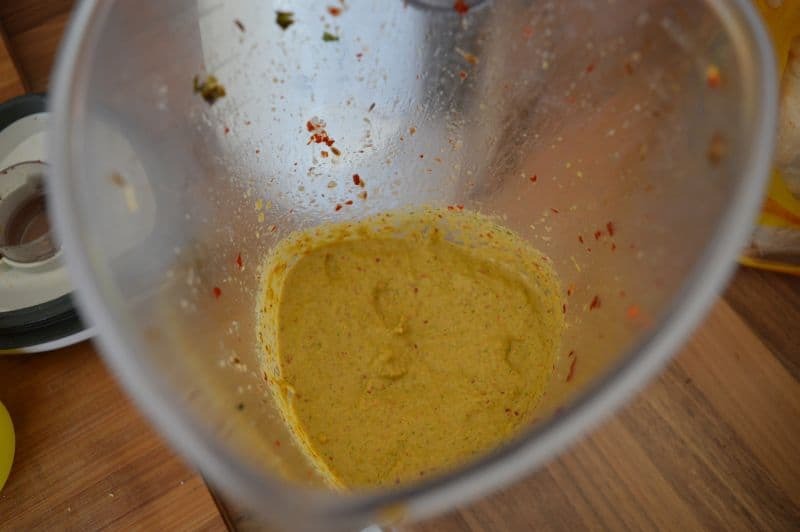 Blend it fine. 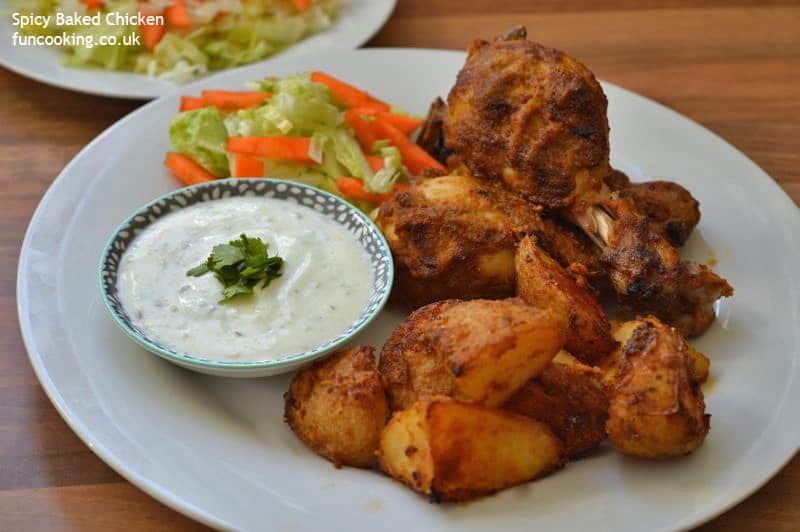 Serve these chicken,potatoes,yogurt dip and fresh salad together.